Spirometry is the most widely used pulmonary function test. It is useful for identifying obstructive and restrictive ventilatory patterns, and plays an important part in supporting the diagnosis of respiratory conditions such as asthma and chronic obstructive pulmonary disease. 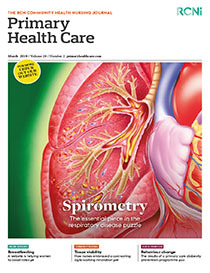 This article focuses on the importance of accurate interpretation of spirometry to improve a diagnosis, and the process of identifying the correct patient, assuring the quality of the spirometry, reporting the results and relating this back to the patient and the clinical history taken.